For all those who heard that PHP 7 is going to be released this November (originally planned for the 12th but now delayed) you may be wondering what to expect and how to prepare yourself. There have been some really great improvements in language at its core as well as a lot of cool new features. There are all sorts of rumors and benchmarks out there stating that PHP 7 will be about twice as fast as PHP 5 even! Let's take a deeper look into what will be changing. PHP 7 will be twice as fast? No way, that can't be. How can the langauge have such a radical difference in speed? Well there are a number of major changes to the core of PHP which significantly reduce the CPU and memory usage. The executor is much faster and uses significantly less memory. To illustrate, a program which previously required 300 million CPU instructions in PHP5 will only require about 200 million in PHP7; about a 30% reduction in CPU usage. In addition, the compiler generates more efficient bytecode (roughly 30% fewer lines). These two things combined lead to much more efficient (and fast) code. In addition to those major performance changes, the language parser itself has been completely rewritten, now using proper computer science principles. The parser is now based on the Abstract Syntax Tree model. In an abstract syntax tree, each node of the tree denotes a construct which occurs in the source code. The syntax is abstract in that it does not represent every detail appearing in the real syntax. For example, grouping parentheses will be implicit, and syntactic constructs such as if-condition-then expressions may be representated as a single node with three branches. The Lexer is now context-sensitive with support for semi-reserved words. This means that reserved keywords can now be used as names for attributes, constants, and methods within classes, interfaces, and traits. For example, you can now have a class method called "for" or "if". 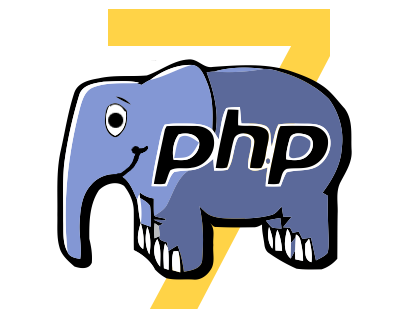 The most important question to be asking now before getting started migrating all your applications is "what problems should I look out for while migrating to PHP 7?" Fortunately there aren't really too many issues you should encounter unless you have code which was written back when PHP4 was cool. PHP 7 has a lot of really cool and highly anticipated features coming. Here are some of the most interesting. All actions which resulted in "fatal errors" in PHP5 will now throw catchable exceptions in PHP7. This means you can always fail gracefully in all cases. The phpdbg debugger which was built into PHP 5.6 (which unfortunately almost no one knows about) has now been extended to support code coverage which is great for unit testing. In the above code, if the function bar() returns a non-integer value a TypeError will be thrown. That looks great, just like we all wanted. But unfortunately the default behavior isn't at all like we wanted it. Great, problem solved. Nope! This unfortunately works only in a file-by-file basis. That means that every single file must explicitly declare strict typing. Every file. You can't just throw it in your front controller or your bootstrap file. Every file. That's kinda cool maybe for writing unit tests, but for the most part it falls into the antipattern of Java-envy. The result of $foo will be the first non-null value in the chain. This operator could definitely save some lines of code and make things cleaner; great for assigning default values. The next cool new feature is now known as the "Spaceship" Operator (originally called the Combined Comparison Operator).